New HIV antibodies could lead to a cure. Scientists have made a huge step towards fighting off the HIV virus. Researchers at The Scripps Research Institute (TSRI) were able to attach HIV antibodies to immune cells in their most recent study. These new cells could potentially be the cure that millions infected with the life-threatening disease need. Find out what the scientists at TSRI had to say about their research and how these new cells eliminate the virus from the body. How Do the HIV Antibodies Work? 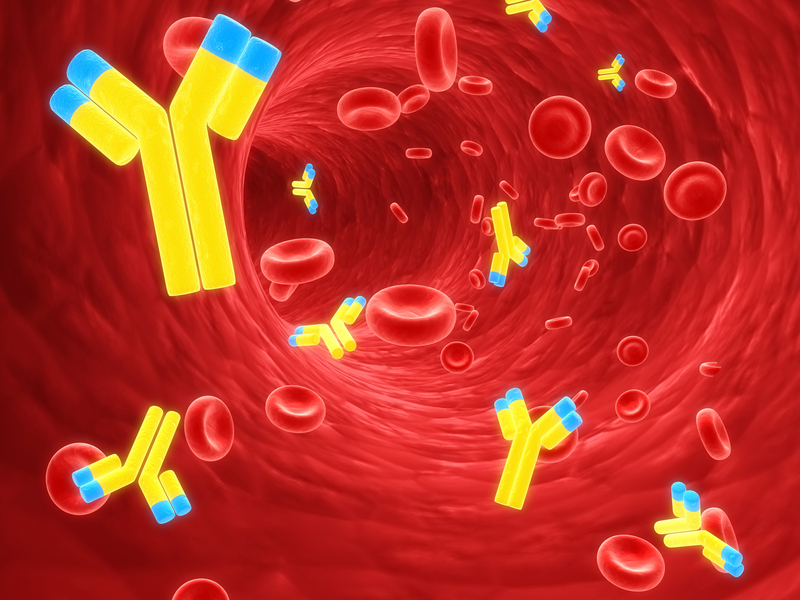 Typically, antibodies float in the bloodstream alongside the cells in the body. However, the HIV antibodies developed by the researchers work a little differently. 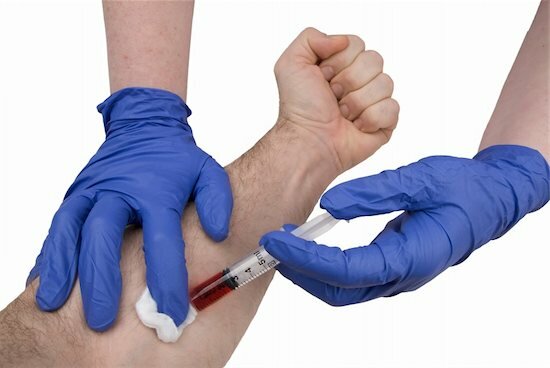 The scientists were able to tether the antibodies to immune cells. This technique created a new population of resistant cells that can replace cells affected by the disease. This close connection with the immune cells is what Jia Xie, a senior staff scientist at TSRI and first author of the study, called the “neighbor effect.” Essentially, the antibodies hang on to a cell’s surface, acting as a barrier between HIV and the cell’s receptor. This action prevents HIV from infecting the cells and spreading throughout the body. “This protection would be long term,” said Jia Xie. “You don’t need to have so many molecules on one cell to be effective,” he said. How Was the Test Preformed? Xie and his researchers first tested the tethering system against the rhinovirus, which is otherwise known as the common cold. The researchers were able to apply a new gene to cultured human cells. This gene is the one responsible for the creation of the antibodies that attached to immune cells. The antibodies protected the cell receptors from the virus, halting infection. When adding rhinovirus to the testing, many of the unprotected cells died off. However, the newly created antibodies were able to thrive as the number of cell populations recovered to almost normal levels. The next step after this success was to test the antibodies against HIV. The goal was for the HIV antibodies to protect the CD4 cells, which are usually the target of HIV. In the end, an HIV-resistant population of cells grew, while the old cells died. This is exactly the type of success that the team at TSRI was looking for. Antiretroviral drugs are the primary defense against HIV. The problem with this type of medication is that they have to be taken daily. Sometimes, HIV-positive individuals still suffer from higher rates of diseases when taking the drugs. The research still has a long way to go. Scientists are testing to find out what other parts of the cell the new antibodies can protect. Hopefully, this can lead to a potential cure. In the search for a cure, some treatment for HIV proves deadly. Finding effective treatment for HIV is a long-standing battle. Scientists are fighting against the disease every day. The search for answers may lead to drastic measures. However, at what point do the risk outweigh the cure? That’s the question posed by researchers at the Johns Hopkins University of Medicine when it comes to the ‘shock and kill’ treatment. What is the ‘Shock and Kill’ Treatment for HIV? The shock-and-kill treatment reveals HIV hidden within the cells. This is the problem that many scientists run into – HIV hides. When it is dormant, the virus does not trigger the immune system to fight back. It’s also the reason that antiretroviral therapies are only capable of keeping the disease at bay. The proposed shock-and-kill treatment essentially wakes HIV from its dormant state to make it vulnerable to the immune system and antiretroviral drugs. However, testing this method has led scientists to believe the supposed ‘cure’ could have disastrous results. The treatment was tested on the simian immunodeficiency virus (SIV), a disease that is found in primates and is very much similar to HIV. One of the test subjects displayed encephalitis symptoms and brain inflammation. The symptoms only worsened and the primate had to be put down humanely. This treatment spells trouble if the disease is hiding within the brain. Activation in this area only makes a patient’s condition worse, especially when scientists do not know where the disease is hiding to begin with. Researchers advise caution. A boost to the war against HIV would be to produce an effective vaccine. Over the decades, research has continued to provide promising strategies for disengaging the viral attack on a host. However, much of this research comes to a halt when it comes time to implement the information. The reason for this standstill has to do with the actual physical makeup of the virus. Creating an antibody has proven not to be out of the scientists’ reach, but getting that antibody to stick to the virus has. In order to neutralize the invading virus, the antibody must attach itself. HIV is so well protected that this has proven futile. In an effort to see vulnerabilities in the viral membrane, researchers have tried to get a closer look at some of the external parts that are attached to the membrane. For years, this also seemed out of reach. Many of the proteins that are attached to the virus are delicate and unstable. Attempts at capturing the image resulted in breaking the structure because of its fragile nature. This losing streak, though, just came to an end. Finally, a high-resolution image of a key protein on the outside of the viral wall has been taken. 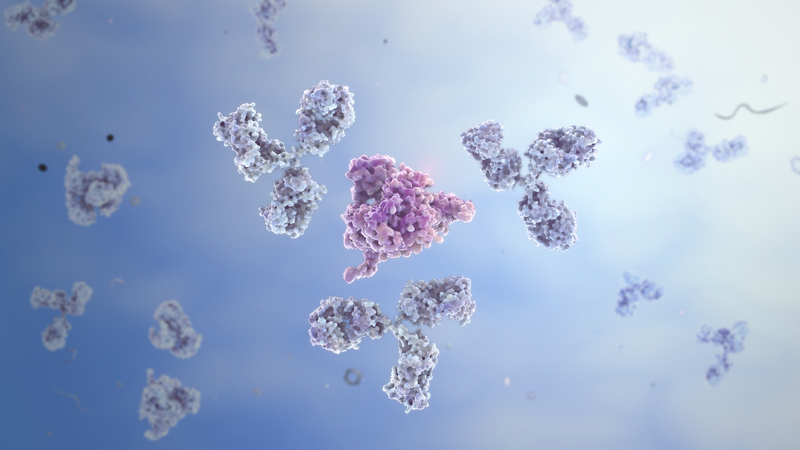 Now, scientists will be able to study the segment and see what approach to take so that antibodies can adequately attach themselves. This protein is not only a vulnerable part of the virus, but it also happens to be very consistent among various strands of HIV. In other words, it does not mutate as much as other structures. This means that when a vaccine is produced with antibodies that can attach to this protein, it should be able to cover a vast array of HIV infections. There will be no need for multiple vaccines. Also discovered is that while this would be an ideal site to neutralize the virus, there is a shield around it. This sugar-like substance conceals the area and will make contact difficult for antibodies. Taking a closer look at these molecules will help researchers break down the defense so that the immune system can do its job.